The Texas House is considering a bill that would give high school seniors the same civics test taken by immigrants seeking U.S. citizenship. To graduate, students would have to pass. 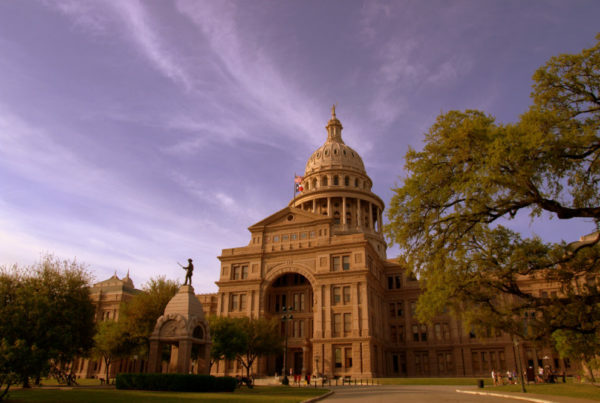 The Texas House of Representatives is set to consider a bill Wednesday that would make it mandatory for public high school students to pass the civics test that immigrants must take to become U.S. citizens. If House Bill 1776 passes, end-of-course assessments for U.S. history classes in public high schools would also be eliminated. Fifteen states have passed similar legislation, requiring students to take a version of the civics exam. They include Alabama, Louisiana and Virginia. Other state legislatures are considering similar proposals. “The questions that we typically ask on these citizenship tests are pretty basic, fundamental questions, both about where we’ve been as a country and about how our country operates,” says Sean Theriault, a professor of government at the University of Texas at Austin. Even in the age of smartphones and having information at our fingertips, Theriault says that it’s still important to know fundamental facts about the country. One question on the test asks who was president during World War I. Theriault says that knowing Woodrow Wilson was in office during that time period is important because it should hopefully give people an understanding of the ideas surrounding him, such as the creation of the United Nations. “If we know Woodrow Wilson, then I’m hopeful that we at least know some of those other ideas,” he says. Theriault points to President Donald Trump’s Andrew Jackson mix-up over the weekend as an example of the importance of recognizing certain names in U.S. history. During an interview with the Washington Examiner, Trump suggested that Jackson was “really angry” about the Civil War, which started 16 years after Jackson’s death. “Of course that doesn’t indicate whether or not Trump knows about how legislation is passed, but it certainly doesn’t reflect well on the United States that something as landmark as the Civil War, some basic facts surrounding that, aren’t even known by the person who is leading us right now,” Theriault says. While Theriault supports encouraging students to take the civics exam, he says that U.S. history and government classes are ultimately more important. Could you pass the U.S. citizenship test? Test your knowledge of U.S. history and government here.